The Rolf mobile cabinet is a configurable storage unit by Rena of Chilas for vonbox, that can be adapted to individual needs in the blink of an eye. Rolf consists of four single modules made of powder-coated sheet steel, that are simply connected by means of magnets. As a result, the size of each compartment and the overall appearance of the cabinet can be individually determined. The easy assembly without screws makes it possible to spontaneously decide whether Rolf should consist of 2, 3 or 4 modules and how they should be positioned. A painted birch plywood board, which is also equipped with magnets, serves as a shelf and can be put on the appropriate end module. Thanks to its four wheels, Rolf is particularly versatile and can be used wherever it is needed. It can serve as a filing cabinet in the office, a practical bedside table in the bedroom, a telephone table in the hallway or a bar cart in the living room. Thanks to its discreet design, it is seamlessly introduced into various home decors. 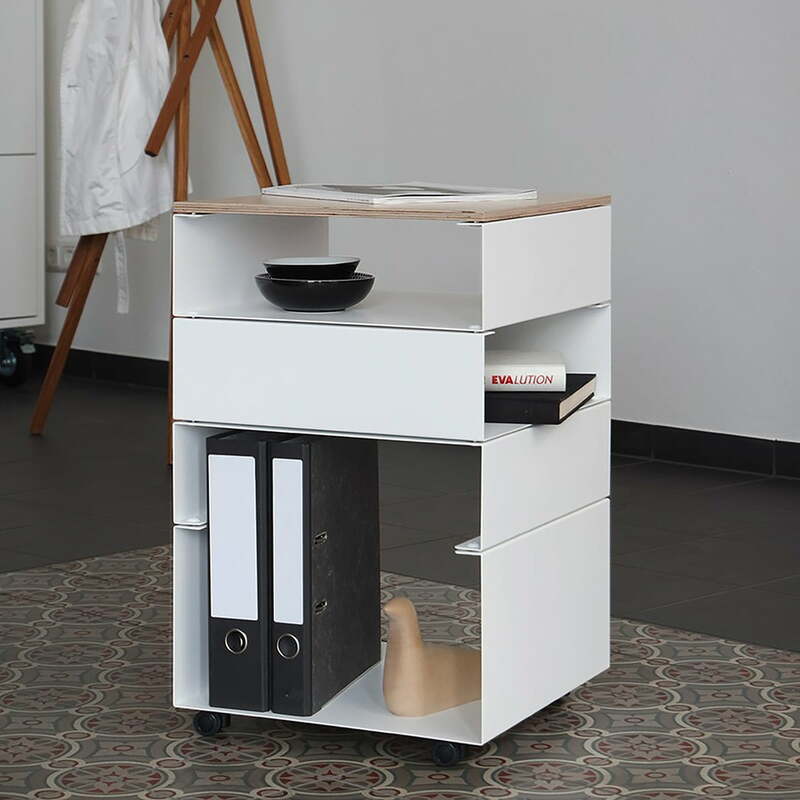 Rolf consists of a mobile cabinet on wheels (height 24 cm), three flat modules (height 12 cm) and a cover board made of birch plywood. In the video, you can see how quickly and easily an individual Rolf mobile cabinet can be assembled. 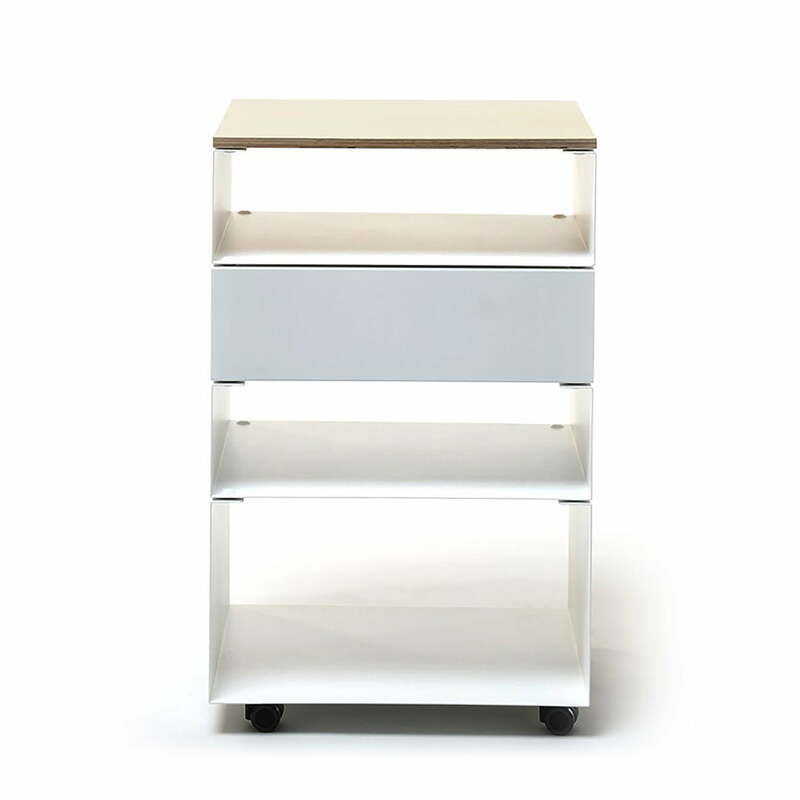 Isolated product image of the vonbox - Rolf Mobile Cabinet, white (RAL 9016). The mobile cabient Rolf is a configurable storage unit by Rena of Chilas for vonbox, that can be adapted to individual needs in the blink of an eye. Isolated product image of the vonbox - Rolf Mobile Cabinet, white (RAL 9016). Rolf consists of four individual modules that connect together with the help of magnets. 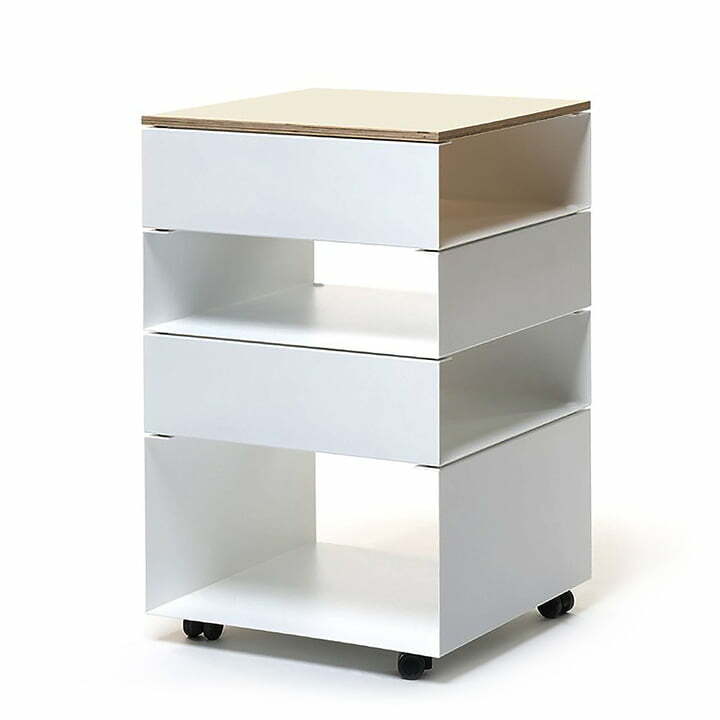 Lifestyle product image of the vonbox - Rolf Mobile Cabinet, white (RAL 9016). It can serve as a filing cabinet in the office, a practical bedside table in the bedroom, a telephone table in the hallway or practical bar cart in the living room. Thanks to its discreet design, it can be introduced into various home decors. 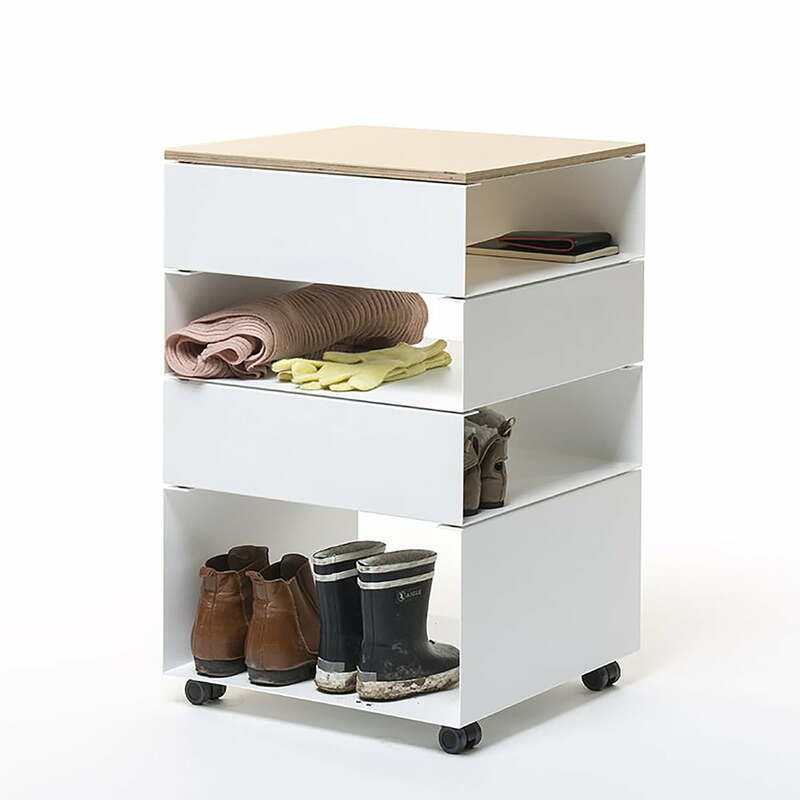 Lifestyle product image of the vonbox - Rolf Mobile Cabinet, white (RAL 9016). The easy assembly without screws makes it possible to spontaneously decide whether Rolf should consist of 2, 3 or 4 modules how they should be positioned. Isolated product image of the vonbox - Rolf Mobile Cabinet, white (RAL 9016). A painted birch plywood board, which is also equipped with magnets, serves as a shelf and can be put on the appropriate end module.